Remote workers are flocking to…well…everywhere. Collectively, they are picking up their bags and heading for exciting locations around the world to fulfill their goal of seeing, exploring, and living freely. These digital nomads seem to have it all figured out, but it is also true that sometimes things slip through the cracks. Things like medical insurance which lacks a reliable option for traveling abroad. When preparing for their next adventure, digital nomads can sometimes forget the one thing that matters most—medical insurance with a reliable option for traveling abroad. There are many things that digital nomads must get in order before heading out of the proverbial door. Savings, travel documents, a place to live, and a contingency plan all feature in the extensive planning that takes place. Until recently, however, there weren’t any good options for insurance. Finding coverage in your own country may prove costly, or it could not cover international medical centers. SafetyWing is the first international travel medical insurance that covers both you and your travel assets with unlimited, simple subscriptions tailored to nomads, plus it has some features that make it a stand out in the world of freelancers. This is probably because the insurance company is owned and operated by digital nomads, so they know what their customers need. Remote workers who live in countries without universal healthcare know that medical insurance can be expensive, especially if it is not provided in some part by the company you work for. 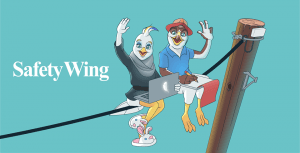 To challenge that, SafetyWing introduced an innovative, cost-effective pricing structure: 37 USD for four weeks everywhere except the U.S. where it is $69 for four weeks. That’s only around 450 USD per year which is especially great when considering the monthly price in some countries. The best thing about SafetyWing’s cost is that it is paid every four weeks which allows you to adapt it to your travel schedule. 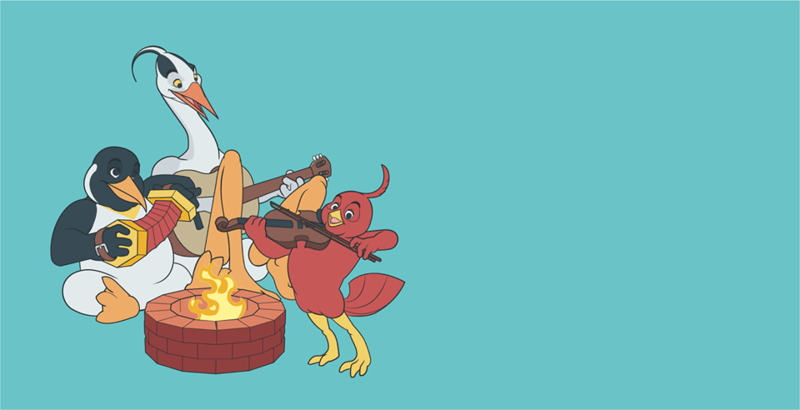 Most other insurance companies require a long-term commitment, but SafetyWing shirked that model to provide a truly useful product for nomads. SafetyWing has a global network for doctors, hospitals, and emergency medical evacuation, so no matter where you are in the world (mostly! ), you can access the help you need when you need it. The standard deductible is 250 USD per person with a maximum lifetime expense of 250,000 USD. SafetyWing’s insurance is applicable in 180 countries. The only limitation to that is when you are in your home country. Coverage at home is limited to 30 days for each 90 days of prior SafetyWing coverage for non-U.S. citizens and 15 days for each 90 days for U.S. citizens. At eligible facilities, SafetyWing covers unforeseen injury and illness visits. This includes expenses from the doctor, the hospital, and any prescribed drugs. 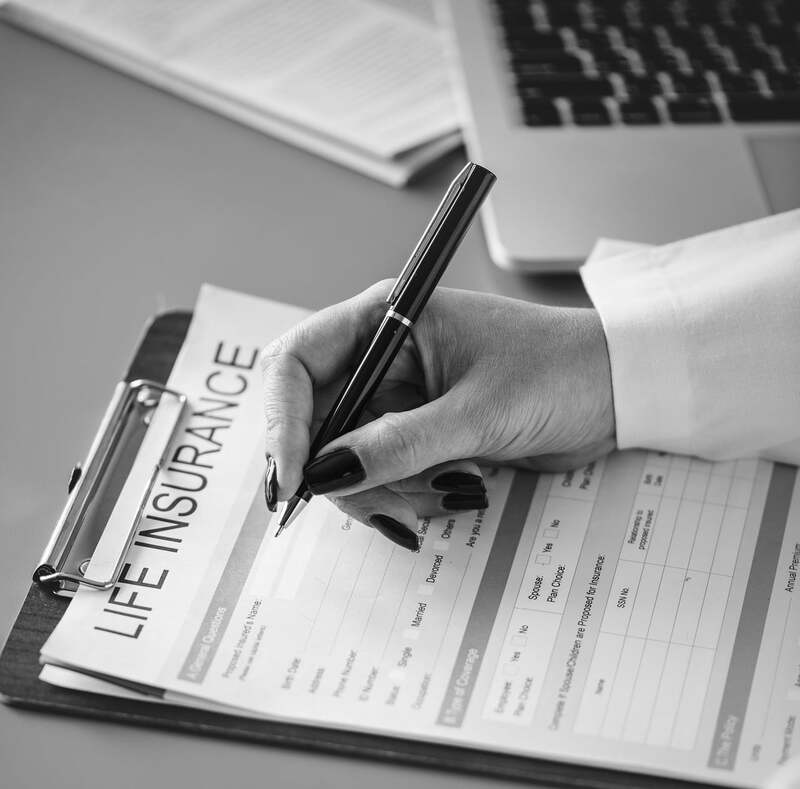 Preventative care and routine checkups are not included in the insurance, but SafetyWing’s travel insurance does cover a few other travel-related benefits. For example, if you have an emergency in the airport and are whisked away to the hospital before your bags are picked up, SafetyWing will cover your lost checked luggage. And if you were about to leave the city you were in and are now delayed, your travel delay is protected too. Traveling is difficult enough, but SafetyWing gives you peace of mind with its insurance program. And it goes beyond just covering you. Group insurance is also available to cover your travel companions. This protects accompanying persons from age 14 days to over 80 years in the same vein as your personal SafetyWing protection. You can purchase this insurance on behalf of the entire group traveling with you, and the cost remains the same low price you pay when you travel solo. SafetyWing is the best all-in-one travel insurance available. It provides you with more than just emergency care. It covers your losses in case of an emergency too. The caveat to this insurance is that it is not useful for routine care—the best preventative medicine there is. So, you still have to carry insurance that provides annual doctor visits or pay for them out of pocket. Safetywing is strictly for emergencies. Eight years ago, when I got into the digital nomad life, nothing like this existed. So, when I was in Denmark in the middle of a huge snowstorm and I got strep throat, I didn’t have a lot of options but to pay for a visit and for my prescriptions. Luckily, the price wasn’t exorbitant, but when I started to feel pain in my tooth, I just gurgled some saltwater and waited until I got home to get it looked at. I had no clue how dentists worked in Denmark and was terrified of the price. The hurting tooth festered and turned into an abscess that I had to have an emergency root canal for when I got back to my home country. Unfortunately, Safetywing wouldn’t have covered the preemptive dental care (like regular check-ups) to find the problem early, but emergency dental would have taken care of the abscess. Protect yourself as you fly around the world and pick up a digital nomad insurance program like SafetyWing. Full Disclosure: This article contains affiliate links – if you sign up ValueWalk earns a small fee but it costs you nothing and its anonymous.